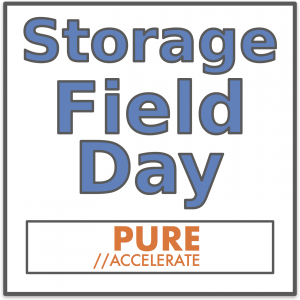 Foskett Services is proud to announce that we are bringing the Storage Field Day experience to Pure Accelerate 2017! On June 12 through 14, nine Tech Field Day delegates will head to San Francisco for exclusive briefings and direct engagement with Pure Storage executives and customers. This is part of our Field Day Exclusive program, which tailors our event for a single company. In the past five years, Storage Field Day events have generated exceptional technical conversations seen and heard throughout the enterprise IT community. The event series brings the most innovative and influential companies together with independent technical experts to facilitate these conversations. And our pro video team captures and shares these discussions with a worldwide IT audience through our YouTube channel, Facebook page, and web site. As Pure Storage expands their Accelerate conference, it was natural that we would bring an exclusive Storage Field Day event to the event. Nine prominent storage experts will join the presenters from Pure Storage in San Francisco to hear the latest announcements and technical deep dives on their all-flash storage portfolio. Pure Storage has made many exciting moves in the enterprise storage world, including the launch of the first all NVMe flash storage array, the FlashArray//X, earlier this year. The Storage Field Day Exclusive delegates will get a front row seat on this kind of innovation. Combined with their technical questions and industry perspective, the event truly has its own unique voice in the enterprise IT landscape. This year, Pure Accelerate will be in San Francisco from June 12-14. This Storage Field Day Exclusive event is poised to stand out in an event already expected to have its own share of interesting speakers and presentations. Watch our web site, YouTube channel, and Facebook page for video from the event.